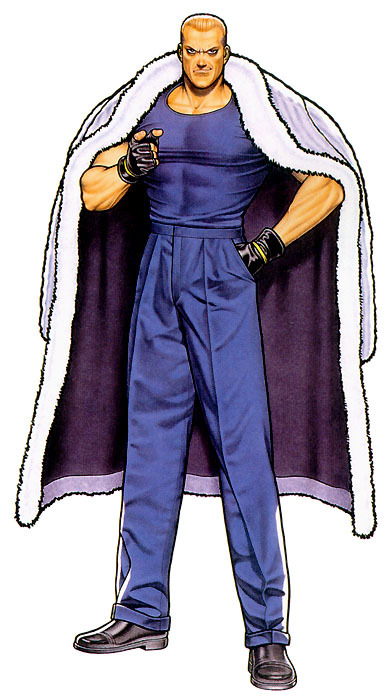 Yamazaki grew up as an orphan in the streets of Okinawa. At the time, American troops were constantly patrolling his town. 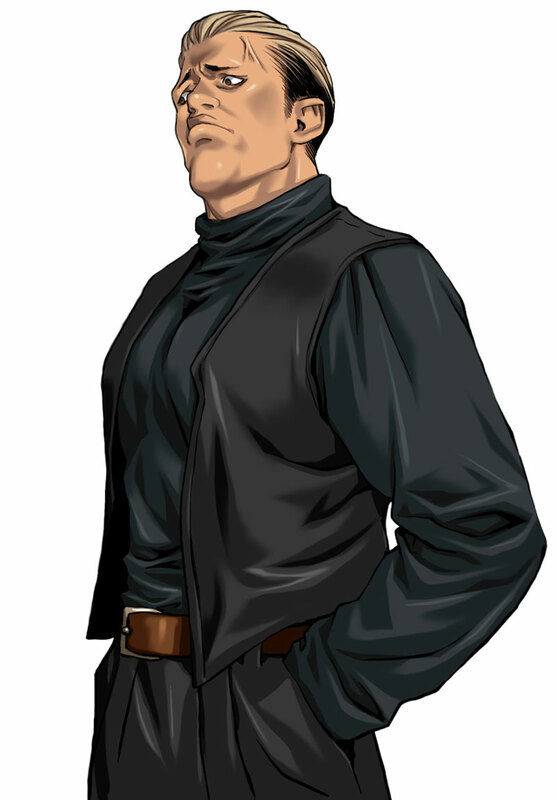 His existence was miserable and boring, until one day, he caught glimpse of a Yakuza boss named Sorimachi. 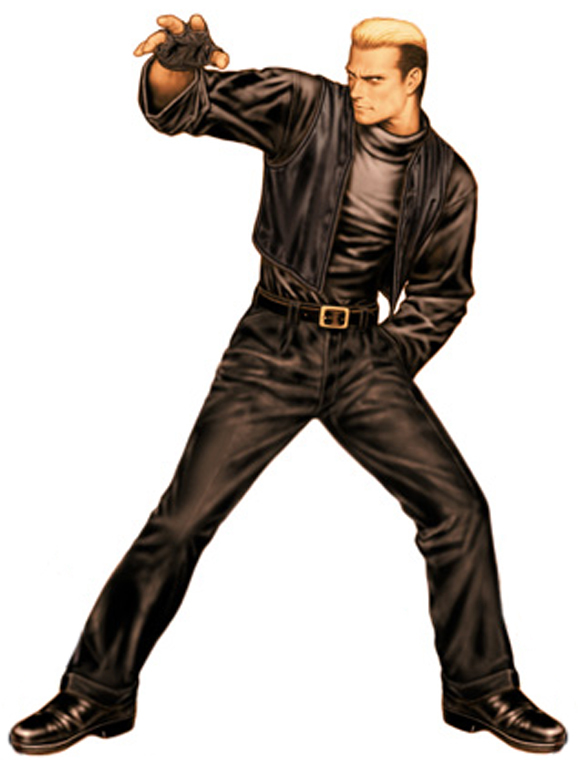 Ever since that day, Yamazaki aspired to be like the man he saw, and eventually joined the Yakuza. He soon found himself working under the man he admired and looked to him as a father figure. 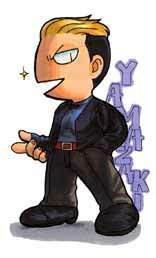 Yamazaki found happiness for the first time in his life. One day, his boss was tortured and killed in Osaka. 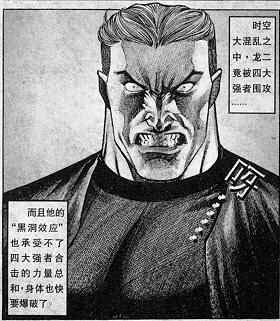 This lead to Yamazaki's sadistic nature and insane alter-ego. 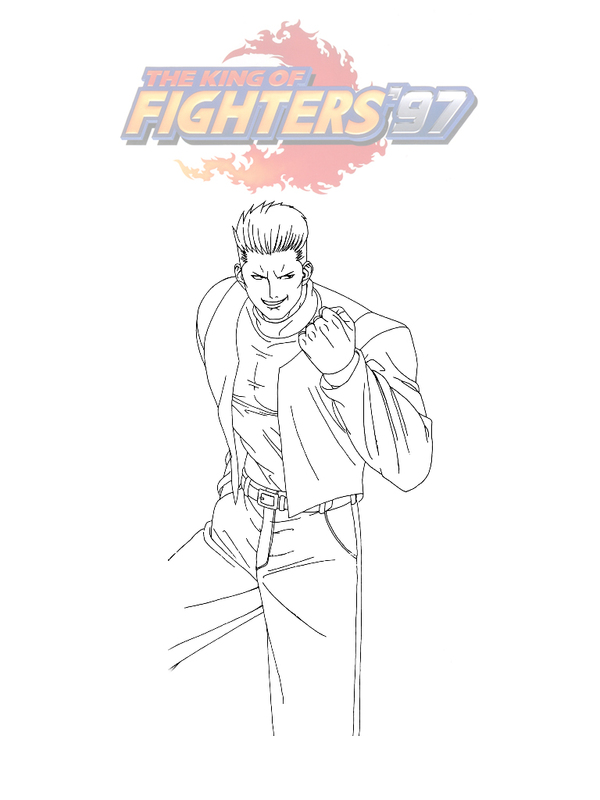 Yamazaki has little memory of his past after this incident. He eventually murders his boss' killer and fled from Japan to Hong Kong. 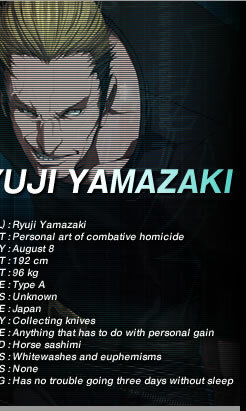 With Kowloon Walled City as his base of operations, Yamazaki continues to be an influential broker, weapons dealer, and drug trader. He soon became a wanted criminal in Hong Kong where Hon Fu began perusing him, with a mission to catch him in the act and arrest him. 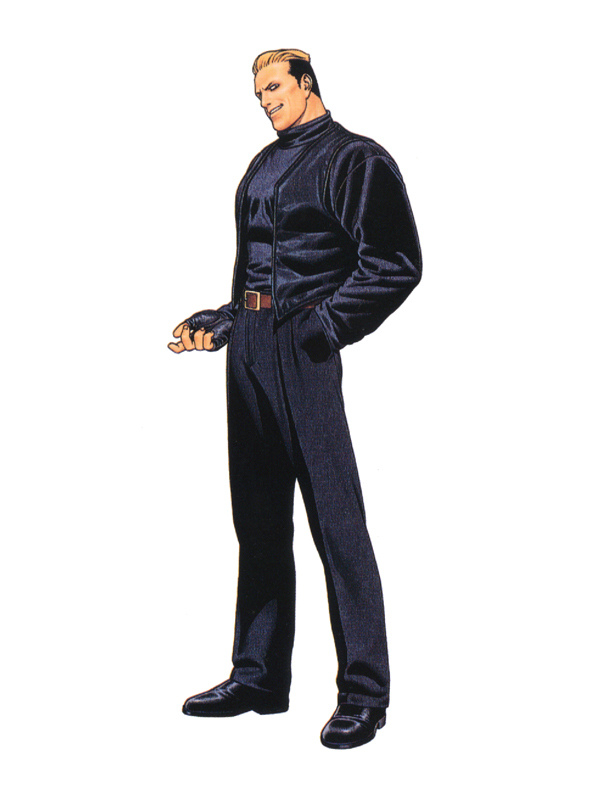 Ten years later (1995), Yamazaki joins the Chinese mafia. 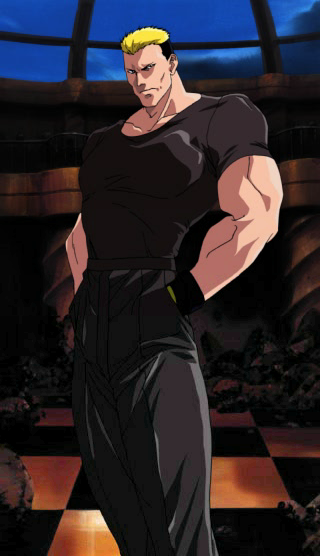 He was hired by Jin Chonrei and Jin Chonshu to be their bodyguard and to protect the scrolls of immortality. 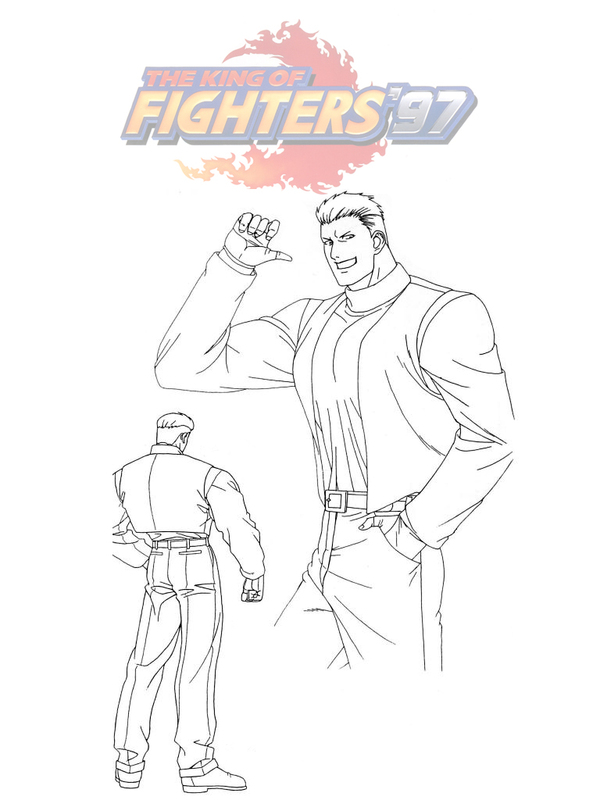 In the King of Fighters timeline, Yamazaki meets Billy Kane as he was trashing a dojo. 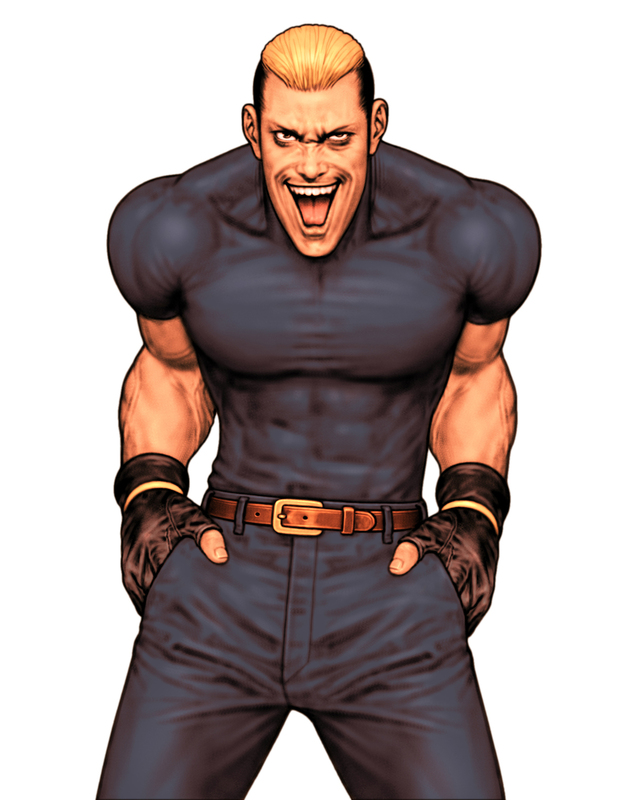 On Geese's orders, Billy asks Yamazaki to join the tournament. 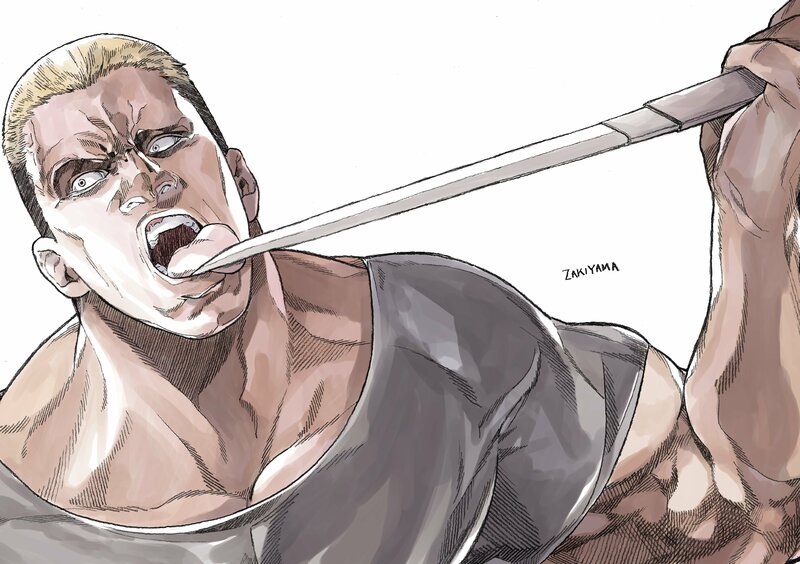 Yamazaki refuses at first, but after mauling one of the warriors, he felt an adrenaline rush through his blood. For this reason alone, he accepts the offer and soon demands to be paid double the amount of the tournament's prize money. 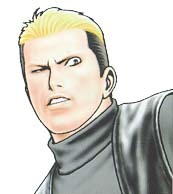 During the tournament it is revealed that Yamazaki is one of the Hakkesshu. 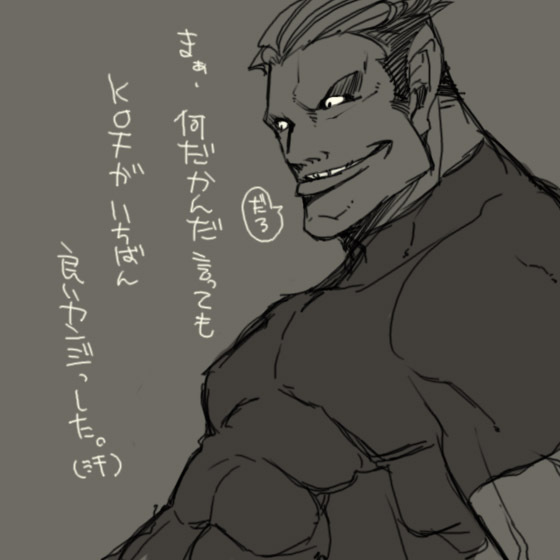 However, Yamazakidoesn't want anything to do with Orochi or the Hakkesshu. 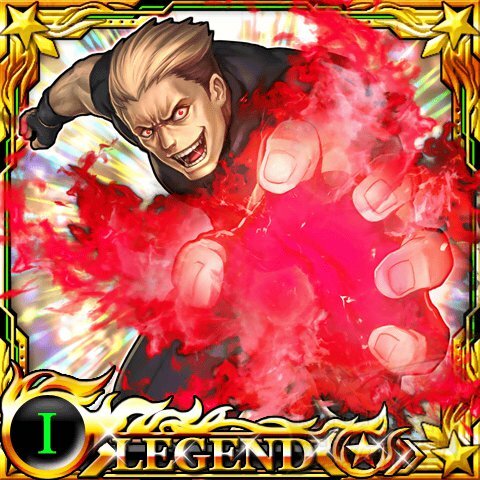 Somehow, he is able to resist losing his mind to the Riot of the Blood (probably because he's already crazu), something even Iori Yagami is unable to do. 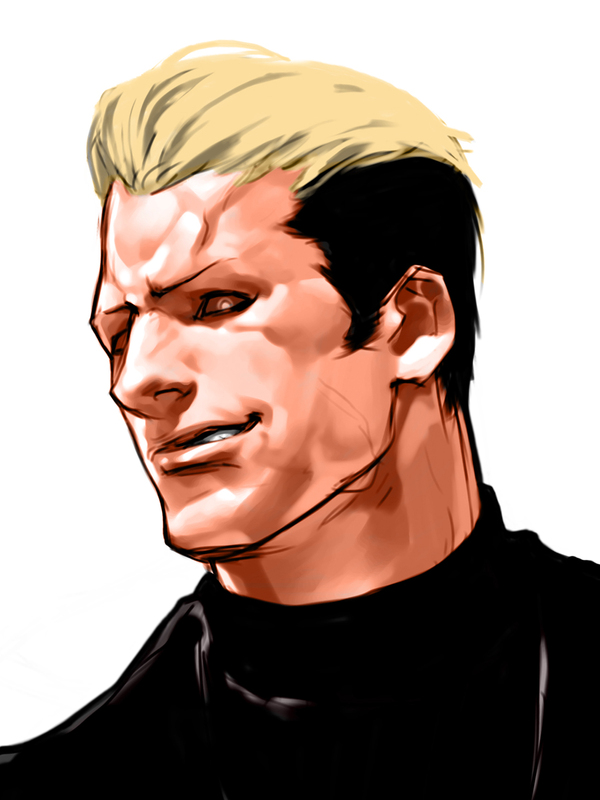 However, when Yamazaki encounters anyone from the New Face Team, his blood boils and he laughs hysterically at them. 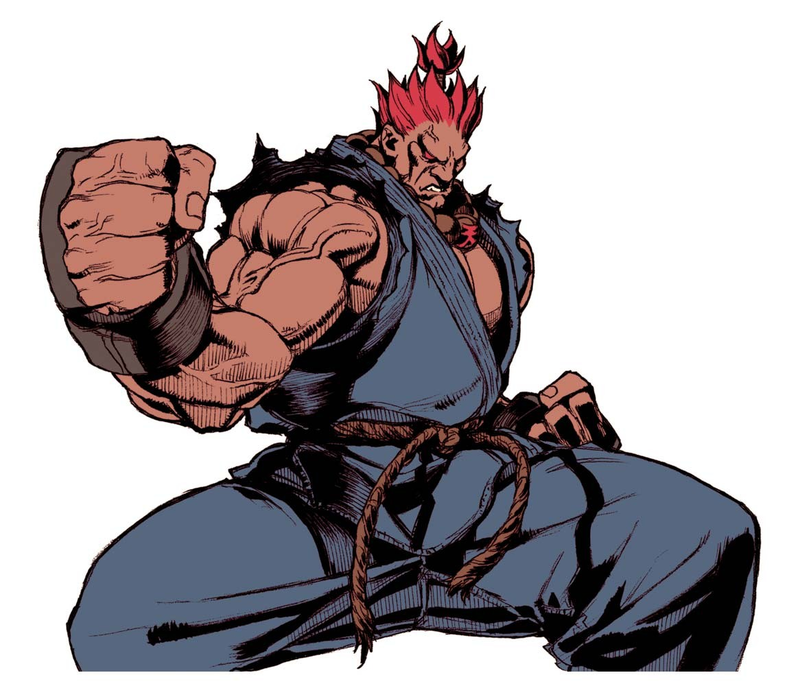 Yamazaki dropped out of the later tournaments and it is unknown what he did during this time. 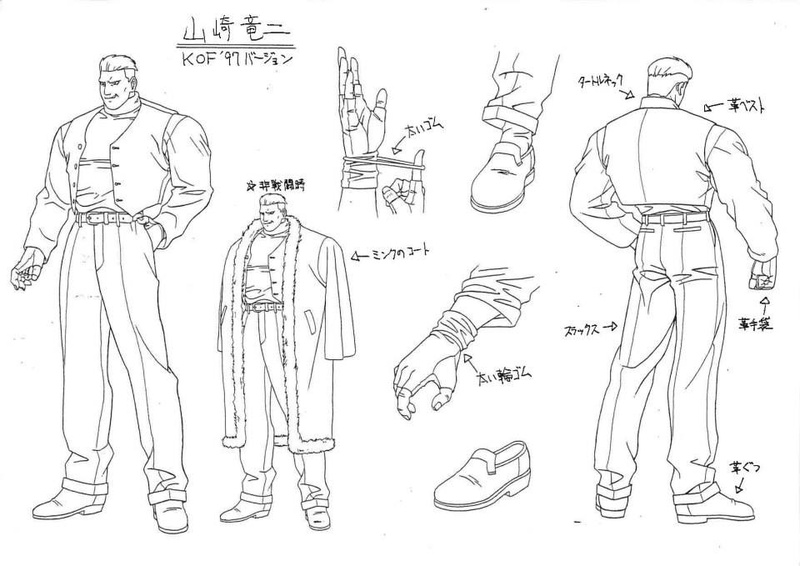 He returns in KOF 2003 with Billy and Gato on Geese's orders. 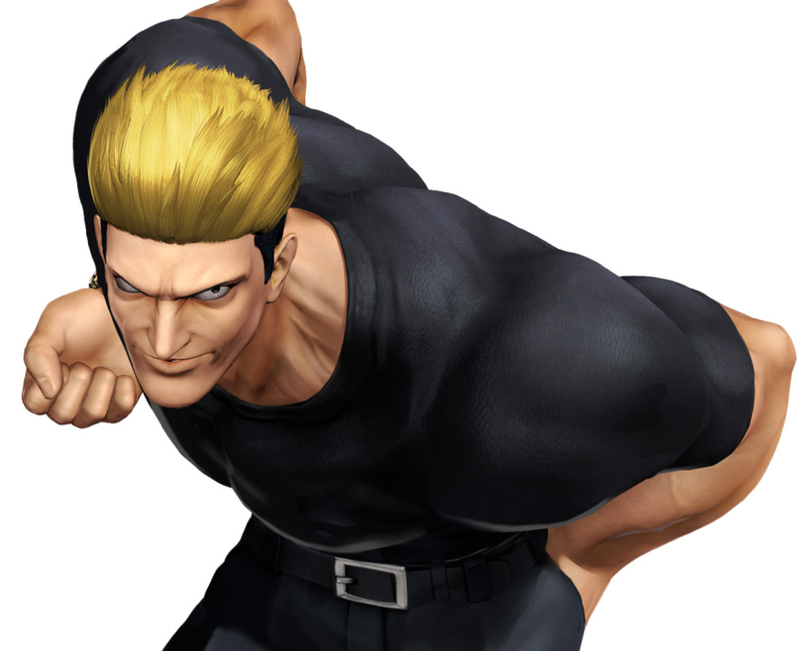 After the tournament, Billy and Yamazaki engage in a brawl which may be why neither of them appeared in KOF XI. 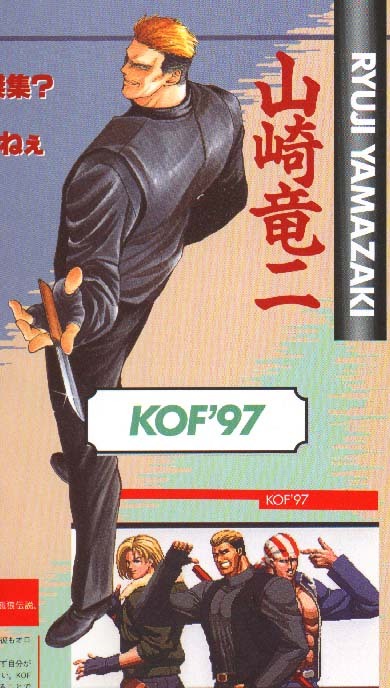 Don't mess with Yama-f*ckin-zaki. 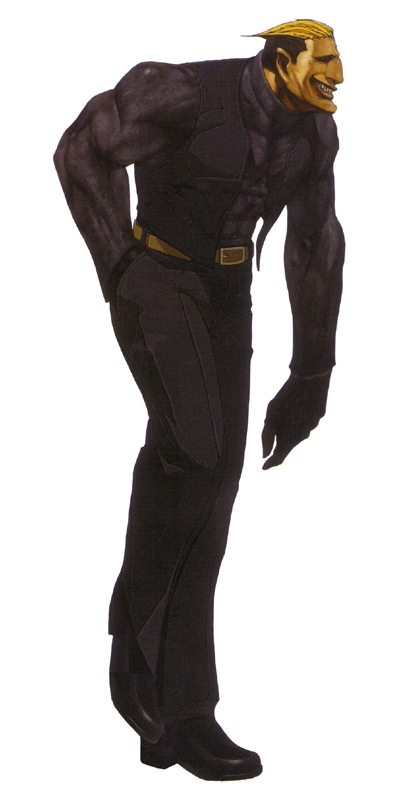 He's one craaazy bloke, with an equally crazy laugh (only rivaled by that of Iori Yagami). 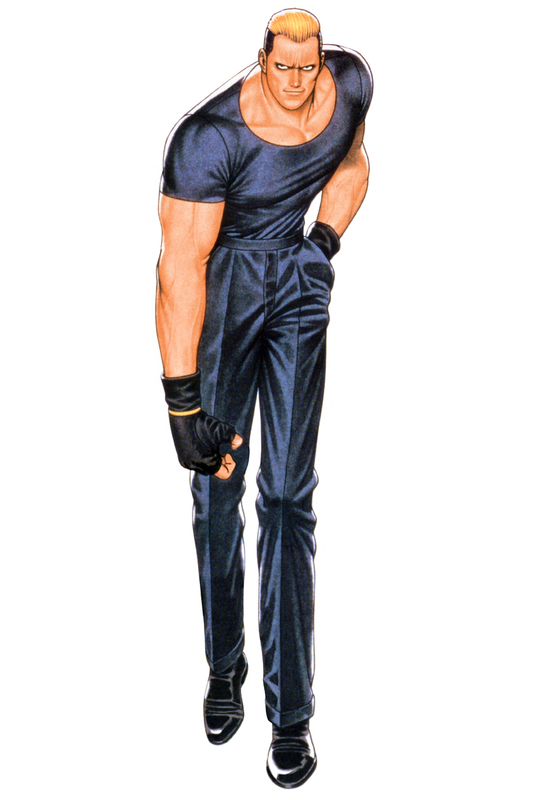 I always thought it was cool how Yamazaki fights with one hand in his pocket. He is the first character I've ever seen to do that. 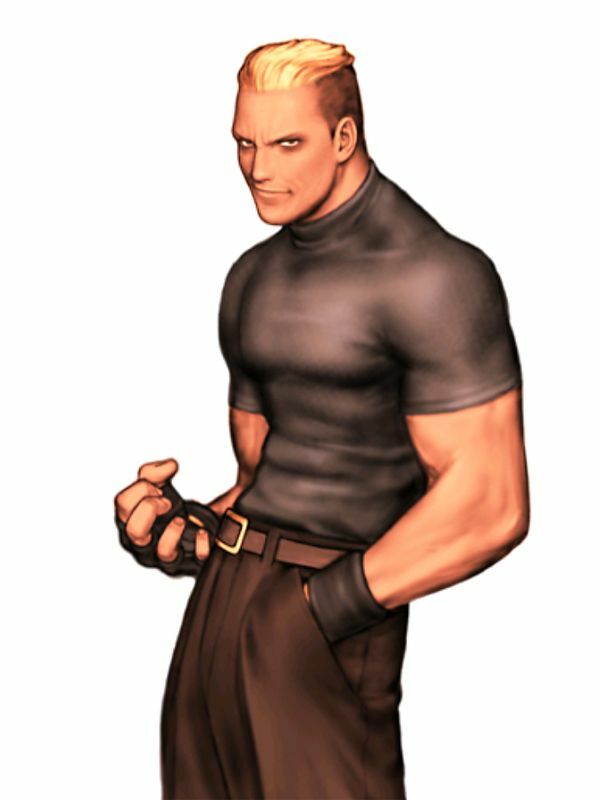 Not many dudes can pull off the "badass" look by just wearing a simple black t-shirt & slacks, but Yamazaki's crazy persona and unorthodox fighting style greatly contrast his somewhat simple attire. 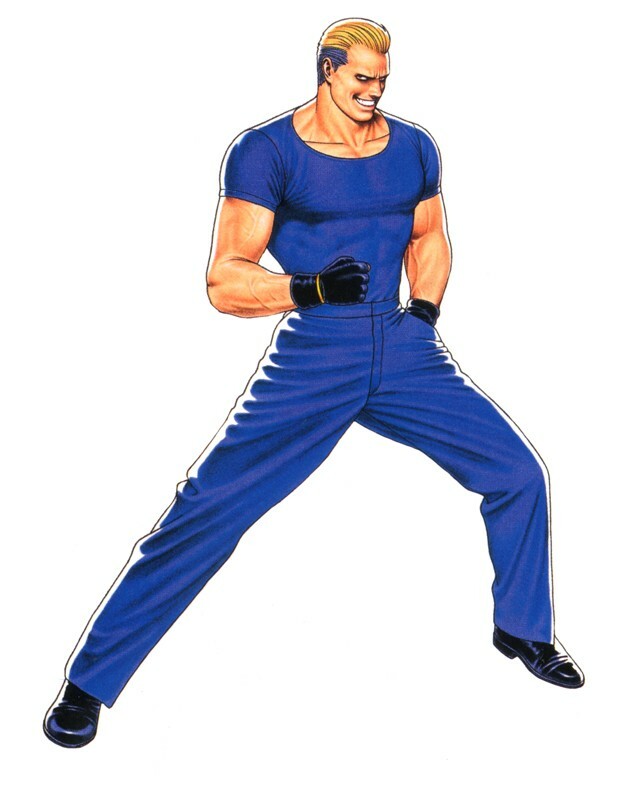 He's got some insane and hard-hitting moves. 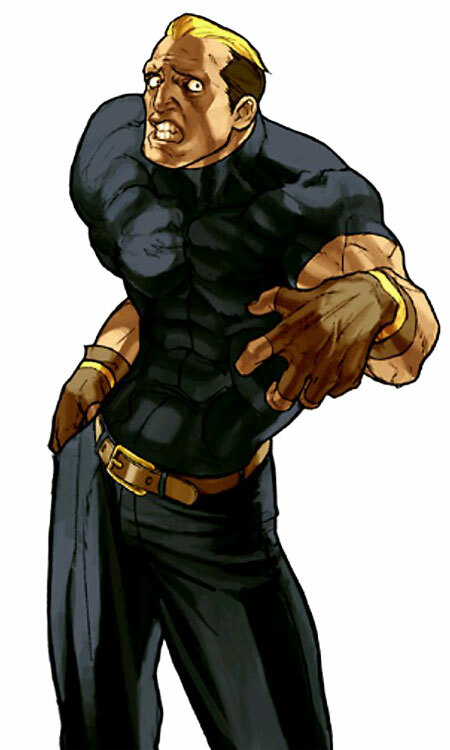 On that note, he might have the #1 hardest headbutt in fighting game history. Seriously, EPIC headbutt explosion FTW!!! 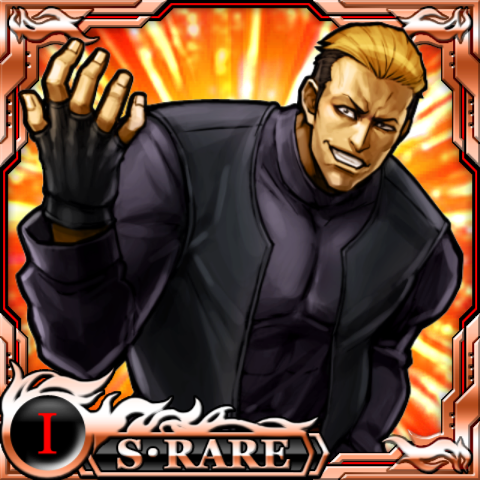 XD In my opinion, he's one of the most fun-to-use characters in the entire KOF series. 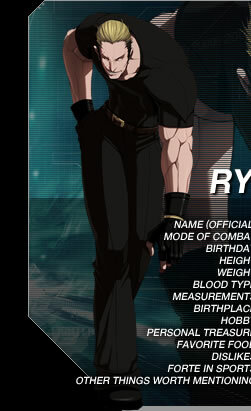 He's also a nice alternative to the somewhat monotonous "pretty boys" of KOF. 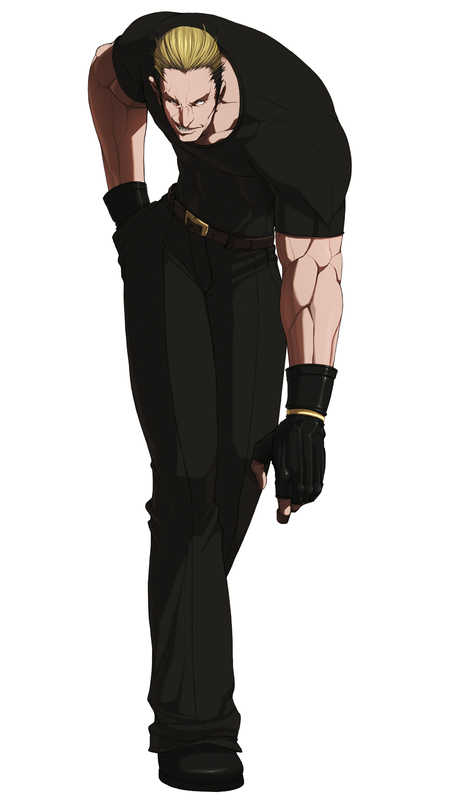 Yamazaki's mannerisms and voice are what really define him... yeah, he's totally mental. To call him psycho would be an understatement. 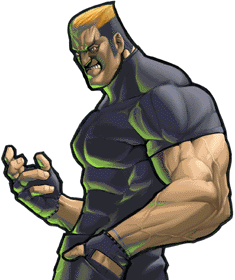 His later appearances in Capcom VS SNK & KOF 2003 were awesome and I hope SNK brings him back soon. 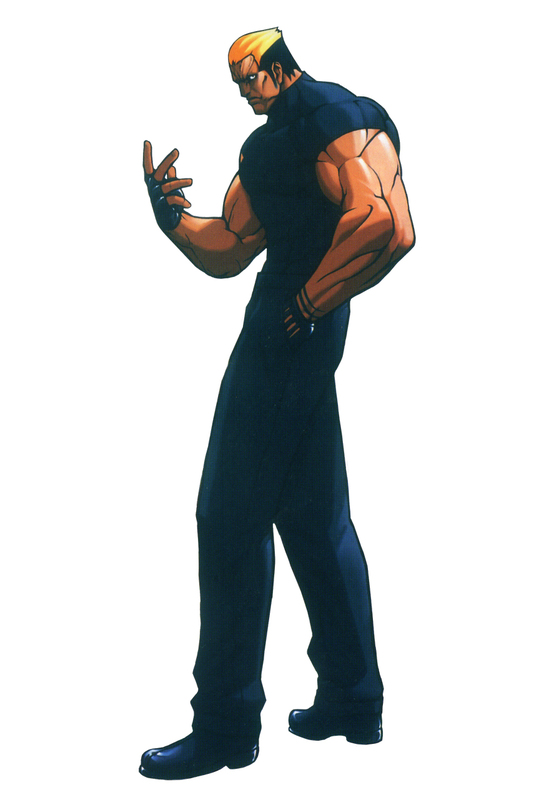 He's definitely one of my all time favorite KOF characters.